The next day after I had blogged about the beautiful sunset I saw last week, Mother Nature decided to give me another treat. 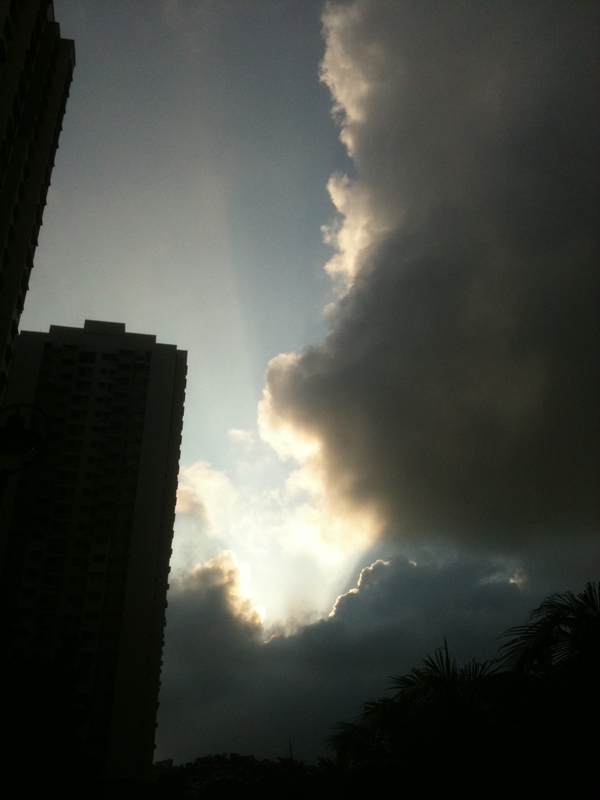 I was walking my usual route to work and I saw sun rays peeking out from some fluffy clouds. It was gorgeous and I didn’t even have to run the picture through any filter. Amazing, huh? As I stood there admiring the natural beauty, I thought to myself: Wow, I’m lucky. It’s moments like this that lets you appreciate the simple things in life.